(VIA NASCAR Wire Service) WATKINS GLEN, N.Y. – With a victory in Saturday’s Zippo 200, Kyle Busch continued to tick items off his bucket list. 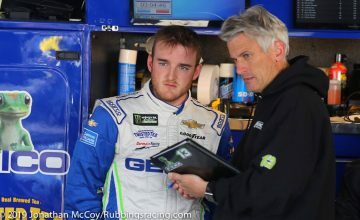 Recovering from a wheel-hop and spin in Turn 1 on Lap 17 of 82 along with a penalty for driving through too many pit boxes, Busch claimed his first NASCAR XFINITY Series win at the 2.45-mile Watkins Glen International road course, beating polesitter Joey Logano to the finish line by 1.049 seconds. “The cars have really been working for me here and it just feels so good to finally win an XFINITY race here,” said Busch, who won last week at Pocono for the first time in a Monster Energy NASCAR Cup Series car. In winning for the fourth time this season and the 90th time in his career, Busch grabbed the lead when Brad Keselowski and Logano came to pit road together on Lap 49. Busch gained time by staying on the track for five more laps, and by the time he exited pit road on lap 55, he was 1.2 seconds ahead of Keselowski and more than 10 seconds ahead of Logano, who had a lengthy pit stop because of a stuck lug nut. Busch held the top spot the rest of the way, surviving a restart with three laps left after Casey Mears ran out of fuel and stalled on the track to bring out the fifth and final caution of the afternoon. Busch chose the inside lane for the restart to control the preferred line into Turn 1. The restart brought Logano back near the front of the field, and on the next-to-last lap, he passed Keselowski, his Team Penske teammate, for the runner-up spot. “Dang, I wish it was for the win and not for second,” Logano said of the battle with Keselowski. “I had such a good short run car, just in the wrong position to start that last run. I feel like, if I was second, I could have won the race. I just had a really good short-run car. Keselowski ran third, followed by Just Allgaier, Paul Menard and Kevin Harvick. Ty Dillon, Erik Jones, Brendan Gaughan and William Byron completed the top 10. Following the event, Byron’s No. 9 JR Motorsports Chevrolet Camaro was found to be too low in the rear during post-race inspection. Note: Busch has indicated he plans to “retire” from NASCAR XFINITY Series racing when he reaches 100 victories. That will take at least until 2019. 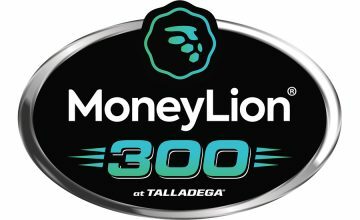 According to rules being implemented for the 2018 season, Monster Energy NASCAR Cup Series veterans can compete in only seven XFINITY races during the year. 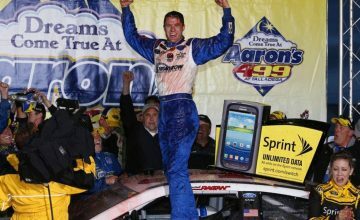 … The victory was the 139th in the series for Joe Gibbs Racing, breaking a tie with Roush Fenway Racing for most in XFINITY history. Hey Jacob, I am making this comment during one of the many commercial breaks during the Cup race at The Glen. I’m sorry but the Zippo 200 was a HUGE JOKE played on the Xfinity drivers…sure Justin put up a good fight, but be real, between Kyle Busch, Brad K, Joey, Paul and Kevin the regulars didn’t have a chance in hell of winning. Dale Jarrett, Kyle Petty and all of the other commentators even said that they would have no chance…and they didn’t. looks Like I’m going to have to get some more ammo for my M40A3 and start going back to the track and cause a few unexplainable flat tires…because enuf is enuf.